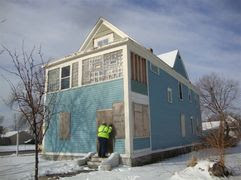 New vacant structures and lots were just posted on the City of Minneapolis website. An updated interactive map, vacant structure list, and vacant lot list are posted on the City of Minneapolis website. For vacant structures posted, the next open house date is scheduled for Thursday, December 10 from 1 p.m.- 2 p.m. The list of structures and lots will be updated monthly by the 15th of each month as they are ready to be marketed. Learn how to search for property, get financing in place, submit a successful application, and complete your housing project successfully! Hmong translation will be provided. Share the event flier with your networks!